At the Sri Kandaswamy Temple, the sacred Abode of Kaliyuga Varathan Sri Sakthivel Perumaan, the Periapuranam is read regularly. 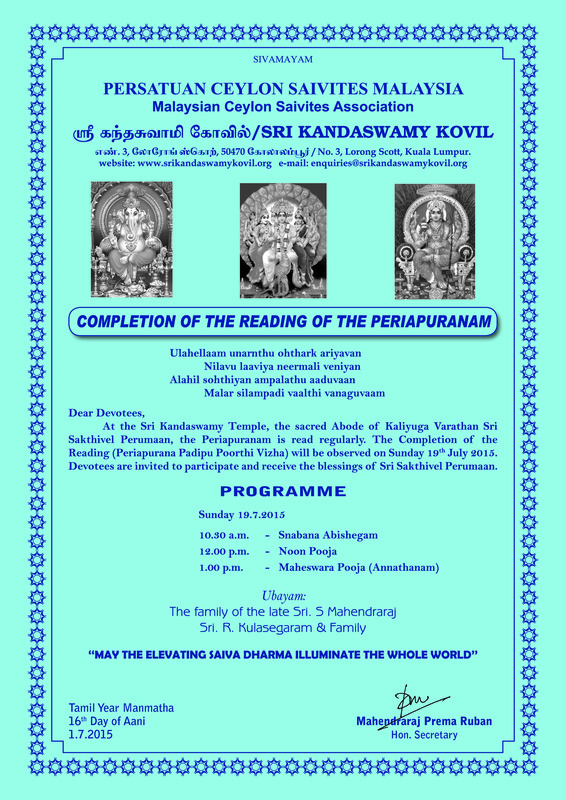 The Completion of the Reading ( Periapurana Padipu Poorthi Vizha ) will be observed on Sunday 19th July 2015. 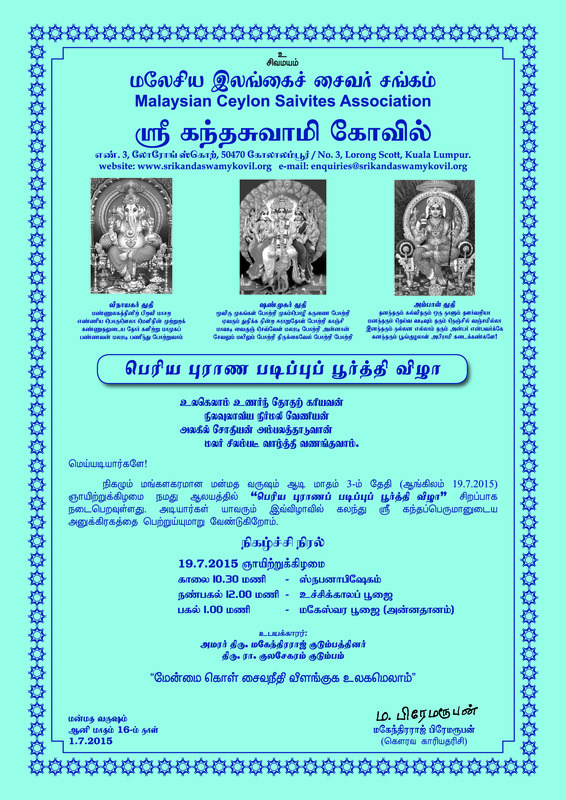 Devotees are kindly invited to participate and receive the blessings of Sri Sakthivel Perumaan.